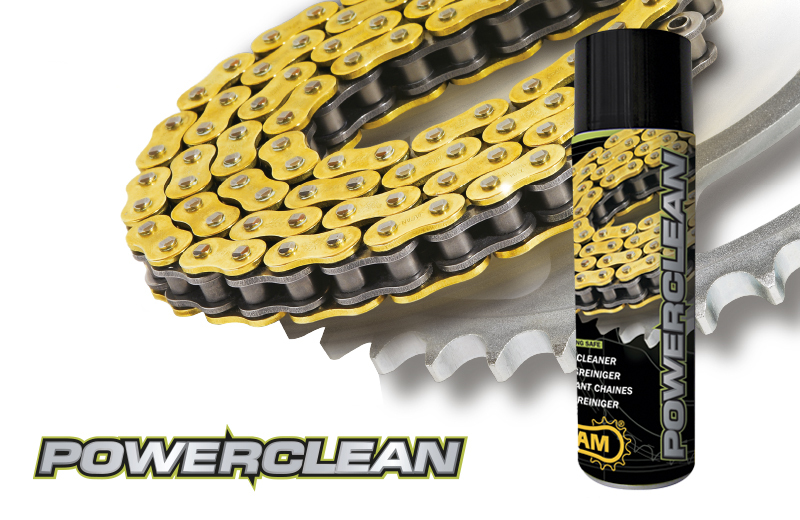 AFAM Powerclean is a spray with a product that cleans the chain. Simply apply to the chain, just let it soak and then rinse with water and wipe with a clothe. The product dissolves grease and dirt so that it can easily be removed from the chain. Use the product before lubricating the chain so that the lubricant can penetrate without obstacles into the chain. A clean and regularly lubricated chain increases the life of your chain drive.